Red roses gleams with love and beauty and thatâ€™s why they are best way to tell someone that how much you love them. 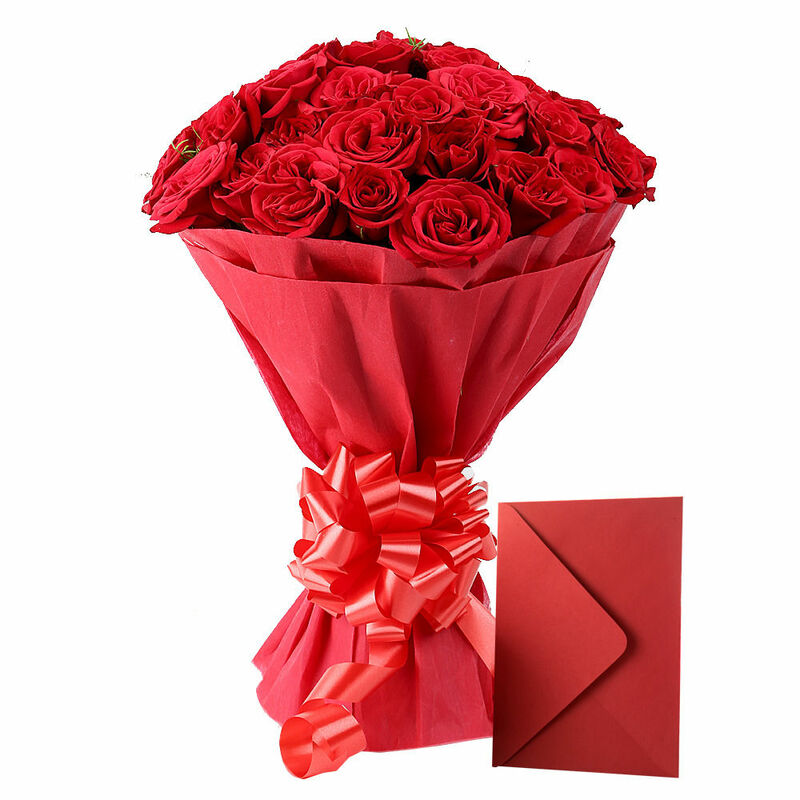 This bunch of 25 red roses packed beautifully in a red paper packing so that it looks hot and sizzling. Apart from that a greeting card is also ready with it so that you can emote yourself well.